I have a very tolerant spouse. This is never more true than her reaction to my taking up a new hobby. I’ve been interested in flying radio controlled for a number of years. A few years ago for my birthday she bought me all the parts to build a flying wing style RC plane. I was very excited to get that present and spent many hours gluing and covering that thing, wiring the motors, following the tiny diagrams and ultimately I had something that looked a great deal like a plane. When I pulled back on the controls, the elevons reacted as expected. When I pushed on the stick to start the motor, the right things happened. 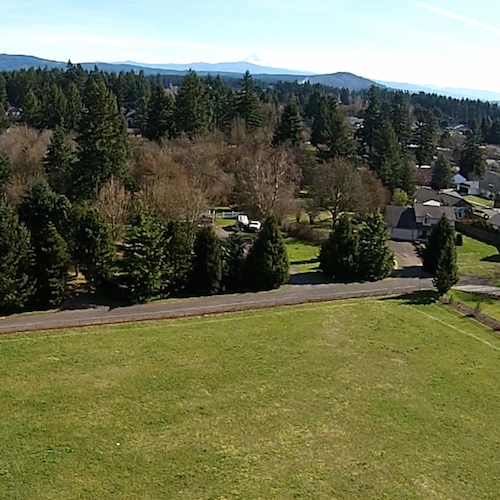 When the day of the maiden flight came, it was a calm and clear spring afternoon. We went over to the local school and I was very excited. I’d read repeatedly that the right thing do to is find a local flying club and have them test it and teach me to fly, but I was having none of that! I am smart, I am independent – I am also congenitally incapable of asking for help. It should come as no great surprise, then, that when I did all the right things to launch my plane, it angled up in to the sky then promptly tipped up and over to one side and took a very impressive header in to the grass. Total flight time: About five seconds. Had there been live test pilots aboard, there would have been no survivors. Nothing broke, but despite trying several more times, we only repeated this same pattern, climb for a moment, but it didn’t seem to have enough oomph to get up and stay in the sky. I suspect it may not have a strong enough motor. The smart move, then, would be to search out a flying club, but my poor plane sits up on a shelf waiting in my queue of hobby activities to see the light of day once again. Because the alternative would be to ask for help and that’s very, very hard for me. Quadcopters, sometimes ubiquitously and erroneously called drones, have become increasingly cheap and increasingly powerful. Recognizing that I wasn’t sure I had the patience to build my own, I started by buying a cheap quadcopter that’s no bigger than my palm and flying it in the back yard. And in to the trees. And on to the roof, requiring ladders to effect a rescue. Basically, I was a danger to myself and to my dogs who watched all of this with suspicion and a fair amount of wariness. This year, I decided I was ready to move on to what I decided was the next level and when Amazon had a good sale, I purchased a DJI Phantom Vision+ quadcopter with camera and gimbal. Where my previous copter was the size of my palm, this is bigger than my head. In fact, there are numerous stories of folks flying these things in to lakes and the backs of people’s heads. You can go to YouTube and find no shortage of spectacular crash videos, often from the perspective of the poor, unsuspecting drone as it lives it’s last moments (before major repairs, at least). So, it was with no small trepidation that I read up on the controls and features of the copter. Roughly a week ago, I took it to a local field/park and was able to take it or its first flight. Where my tiny copter was pushed around by the least gust of wind, this copter is much beefier and less prone to be knocked about so easily. The video on this was pretty great, at least for something at this price point. I can take camera shots or video and control both from an app on my phone which is easily mounted to the controls. This also allows me, with some lag, to see what the camera sees. The gimbal kept the footage smooth with little to no jitter. This was pretty great. I did not crash! I attribute this to me being very careful and having practiced on the smaller copter so I had a decent sense of what would happen when I did something with the controls. I also kept the copter in beginners mode, which was plenty responsive and zippy for me, certainly for a first time flight. The final shot in the video involved me testing a feature which seemed very cool and very necessary. If you switch off the controller, the copter detects this and goes in to autopilot mode and returns to where it started from (via GPS) and lands itself. This was, by far, the most terrifying part of the trip. As the copter flew towards me and the road behind me, only then did it occur to me to wonder what I was going to do if it just kept going! While it did come about 10’ closer to the road than where it started, it did stay in the park – and missed the fence by only about six feet. This thing can go 700 meters away from the controller. I think I let it go about 35 meters up in the air and maybe 150 meters away. I was amazed at how tiny the copter was as it was 35 meters above my head. Had there been some catastrophic failure, plummeting from that height would have resulted in nothing but busted bits of copter and a very sad me. The fact that it’s smart enough to return to its landing spot on its own does give me some solace, but it’s still disconcerting. The conditions were fantastic and I got some really nice views of Mount St. Helens and Mount Hood. Over time, my real goal is to try this with FPV flying with is First Person View flying. You put on some goggles and you see, in real time, what the copter sees. The better systems will even turn the copter to one side or the other as your look left and right, effectively giving the illusion that you’re flying up there yourself. But, the issue there is that the goggles aren’t build to be worn with glasses and the few that offer adjustable lenses to replace the goggles don’t go anywhere near my prescription. This points me towards having to either get contacts just for this or to hacking a pair of goggles to put in my own lenses from an old pair of glasses. Not ideal, either. I’m also looking forward to flying this on a morning where we have some ground fog, as we do pretty regularly this time of year. I imagine flying it up and out of the fog to the clear day above and seeing the neighborhood blanketed in fog with occasional trees and houses poking out of the fog. The part that is a bit scary is the notion of having it above the fog and me unable to see it. I’m very appreciative of having a wife who supports my hobbies as well as the time and money to afford them. In all of those I know I am spoiled. Spoiled, but appreciative!